Here’s a paper pattern set for all of the gimp users out there. It contains 10 tileable paper patterns. If you need help installing these please reference this post: Clipping Masks & Pattern Overlays in Gimp Leave a comment if you like them, and enjoy! Thank you so much for this post. I want to let you know that I posted a link to your blog in CBH Digital Scrapbooking Freebies, under the Page 1 post on Jan. 01, 2011. Thanks again. 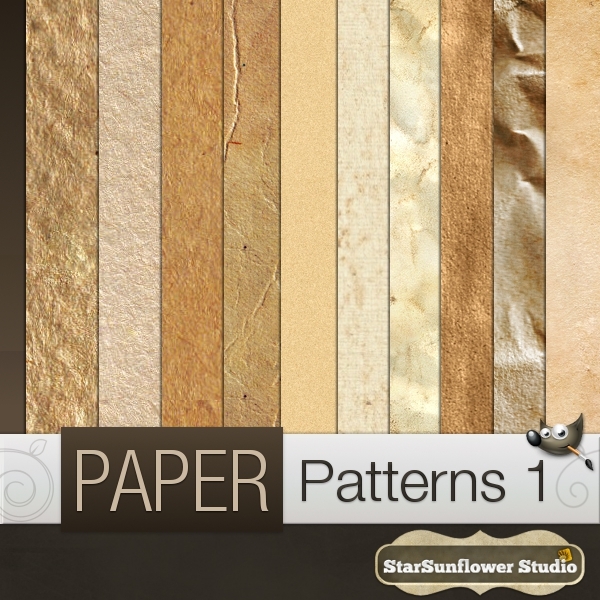 Thank you very much for including these on your site, I've been looking for paper patterns for sometime now! Be blessed! There are no pattern files (ie .pat) in this download, there’s just image files. Please fix this. Thanks so much great stuff I really dig the patterns they make for great wallpapers. You’re the best.